The Child Welfare League of America was hired in response to allegations that Southwest Key employees were improperly screened and because of “an inherent desire to make sure that we don't have a systemic issue that needs to be corrected," a spokesperson said. The nation’s largest operator of migrant youth shelters, Southwest Key Programs, has asked a child welfare organization to review its training and hiring practices, as allegations of sexual misconduct and lax vetting procedures have threatened to bar the nonprofit from working in Arizona. 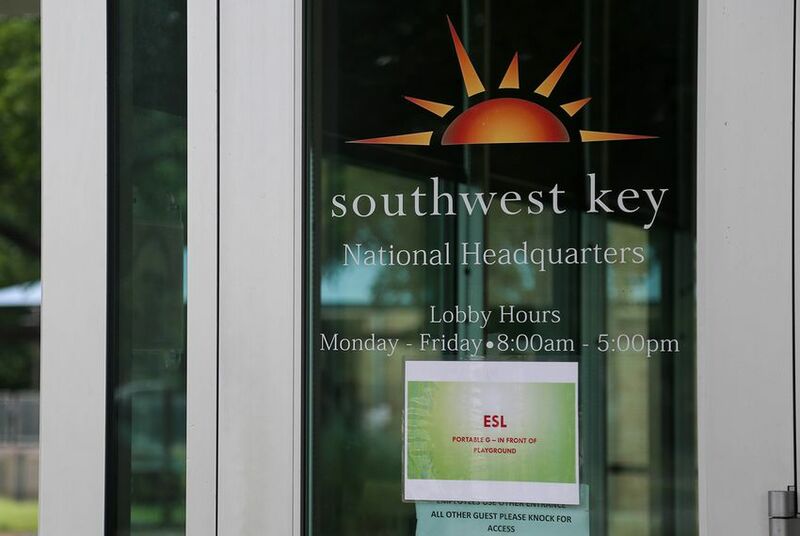 Jeff Eller, a spokesperson for Southwest Key, confirmed Monday that the Washington, D.C.-based Child Welfare League of America has agreed to conduct a “top-to-bottom review” of the processes in place at Southwest Key’s 26 shelters, and at its Austin headquarters. Though the financial terms are not yet final, Eller said the Child Welfare League was approached about the review in September and will begin its work in Arizona. Eller was following up on a remark Southwest Key's chief executive officer, Juan Sanchez, made Saturday at the Texas Tribune Festival about bringing in the Child Welfare League to "make sure that we prevent this kind of event from ever happening again." Child Welfare League officials did not immediately respond to a request for comment. The organization was hired in response to allegations that Southwest Key employees were improperly screened, and because of “an inherent desire to make sure that we don't have a systemic issue that needs to be corrected,” Eller said. Southwest Key was thrust into a national furor over a federal “zero tolerance” policy that separated more than 2,000 migrant children from their parents. President Donald Trump halted the family separations with an executive order that left the underlying policy intact; but by then hundreds of Central American children had been transferred to federally funded shelters like Southwest Key’s. In Saturday's interview, Sanchez expressed frustration that the “wonderful things we do” — caring for and reuniting migrant children — is overshadowed by questions about the nonprofit’s business dealings, the high compensation paid to its executives, and about incidents of misconduct in the shelters. Several allegations of sexual wrongdoing have been made public; two through court cases in Arizona, one of three states in which Southwest Key operates shelters for migrant youth. Sanchez said there have been four sexual abuses cases at the nonprofit’s facilities in the past 15 years, all of which the organization has disclosed to law enforcement. In September, Arizona health officials moved to revoke the licenses of 13 Southwest Key shelters, citing concern over children’s safety, and saying the nonprofit had displayed an "astonishingly flippant attitude" and failed to confirm that their employees' backgrounds had been checked. He said Southwest Key officials apologized and scheduled a settlement conference for Oct. 9. Eller said the Child Welfare League was contacted before Arizona officials sent the nonprofit a letter threatening to rescind their licenses. The scrutiny from Arizona officials comes as Southwest Key continues to weather a public relations storm over the Trump administration’s "zero tolerance" approach to people who cross the border illegally, a policy Sanchez has called "terrible." Children now spend an average of 50 days in Southwest Key shelters, up from around 30 — an increase Sanchez attributed to new federal requirements, and a political climate that makes immigrants wary of identifying themselves, even as potential sponsors. Any abuse “in our facilities is really unacceptable," Sanchez said Saturday. The nonprofit wants the Child Welfare League "to look at every aspect of Southwest Key, from training to hiring to leadership to supervision, and we are wanting them to give us a report and help us." He said he would make the results of the League's review public. Disclosure: Jeff Eller, a former Texas Tribune board member, has been a financial supporter of the Tribune, a nonprofit, nonpartisan news organization that is funded in part by donations from members, foundations and corporate sponsors. Financial supporters play no role in the Tribune's journalism. Find a complete list of them here.